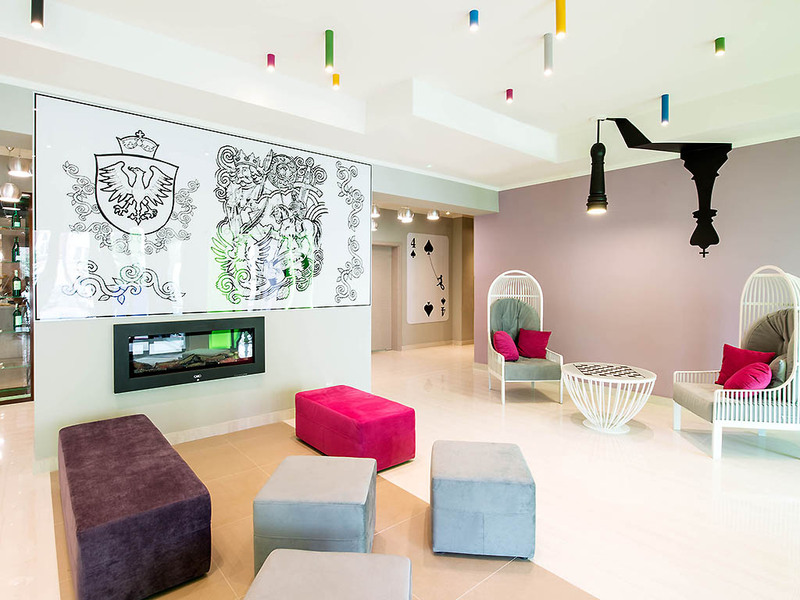 The 3-star ibis Styles Gniezno hotel has 70 rooms, restaurants, car park, WIFI and meeting facilities. Located in the Old Town close to the main train station, the hotel was designed as a part of a unique complex. It is walking distance from the historica l market place, cathedral and cultural attractions such as the Muzeum Poczatkow Panstwa Polskiego (museum of the origins of Poland) or the Old Town Hall. Near the hotel you can find shopping malls and entertainment venues. Cozy, modern and stylish rooms with a comfortable bed and a functional bathroom - you'll find everything you need for a great stay. Modern room (215-269 sq. ft. [20-25 m2]) with double bed, air conditioning, 32-inch flat screen TV, desk, bathroom with shower, and soundproofed panoramic windows. Magnificent decor and an amazing atmosphere make our restaurant memorable even for the most discerning food aficionados. An intimate setting and excellent service will help you to enjoy your stay even more.